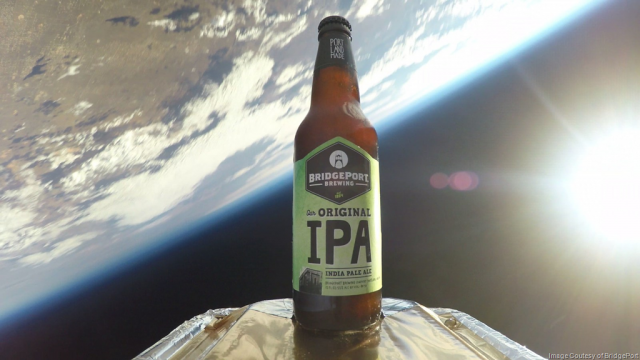 Oregon brewery BridgePort is the latest brewer to join the space race after it launched its flagship IPA into space using a specially-designed helium balloon this week. After receiving clearance from the Federal Aviation Administration the bottles were launched from the desert of West Texas and flew for an hour and a half, reaching a height of 22 miles before travelling back to Earth. The brewery notes that the 22 mile peak is fitting given that the space mission was launched to celebrate the 22nd anniversary of their flagship IPA.